The 36th player was just eliminated from the $500 NLHE event and all 35 remaining players are now guaranteed at least $1,189. Rohan Long has won the $400 Limit Hold 'em event at the Foxwoods World Poker Finals. He takes home the trophy, leather jacket and $14,157! The 64 remaining players in the $500 NLHE event are now on a one-hour dinner break. The average chip stack is just over 53,000. Of the 340 players who started the $500 NLHE event, we are down to the final 100. The blinds are currently 600-1,200 with a 150 ante and the average chip stack is 34,000. 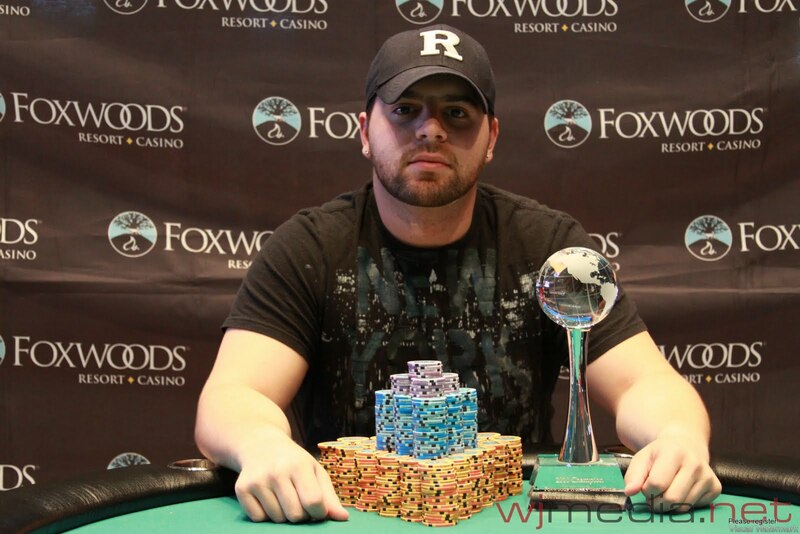 The final three players of the $300 NLHE Shootout at the Foxwoods World Poker Finals came to an agreement on a deal. Matt Isles is officially crowned the champion and take home $28,209. Bryan Piccioli received $18,000 for his third place finish. 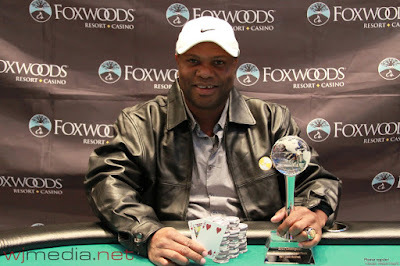 We had a total of 340 players in the $500 NLHE event at the Foxwoods World Poker Finals. The final 35 spots will finish in the money. We are now three handed in the $300 Shootout between Matt Iles, Bryan Piccioli and Lawrence Martone. The bubble has burst in the $400 Limit event. The remaining 15 players are all guaranteed at least $825. The 16 remaining players in the $400 Limit Hold 'em event have returned and play has resumed. The blinds are currently 3,000-6,000. 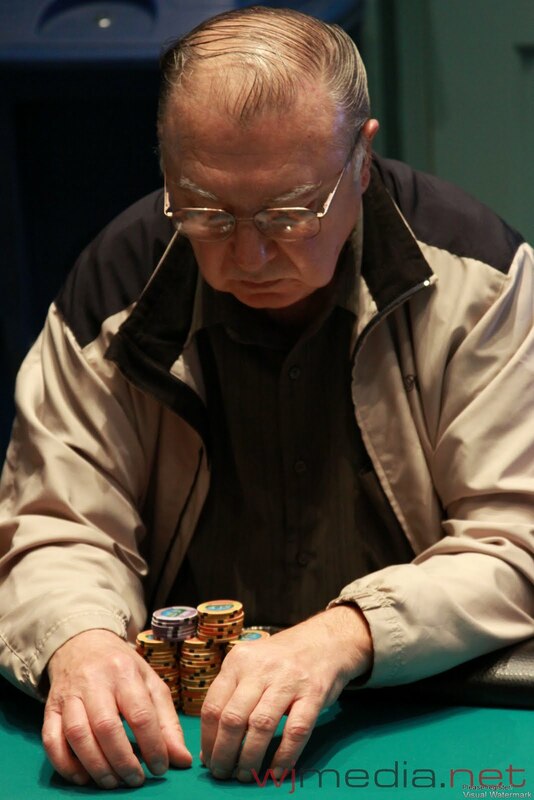 A short stacked Tom Dobrilovic has been eliminated from the $300 Shootout final table in 10th place for $1,875. Dan Corley was knocked out in ninth place shortly after when his [9d][9h] failed to improve against the [Kc][Ks] of Matt Iles. Corley takes home $3,276. Just moments later, Iles again got another opponent all in with pocket kings. This time, he was up against the pocket queens of Jim Bussey. 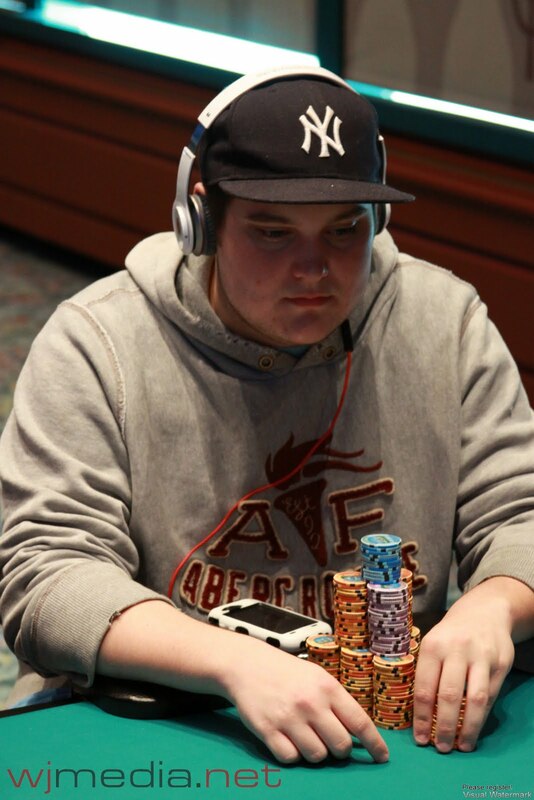 Iles's kings held up again and Bussey was sent home in eighth place for $3,971. Matt Iles is now up to almost 370,000 in chips. $300 Shootout Final Table Underway! The final table of the $300 NLHE Shootout is now underway. The blinds are 2,000-4,000 with a 500 ante for another 38 minutes. The $500 NLHE event at the Foxwoods World Poker Finals is underway. There are already over 300 players registered. Players start with 10,000 in chips and blinds are 45 minutes in length. With 16 players remaining, play has concluded for the night in the $400 Limit Hold 'em event. Play will resume at 2pm on Friday. With ten players remaining, play has ended for the day. The final table will resume starting at noon on Friday.